Good morning. It's Friday, Aug. 17. 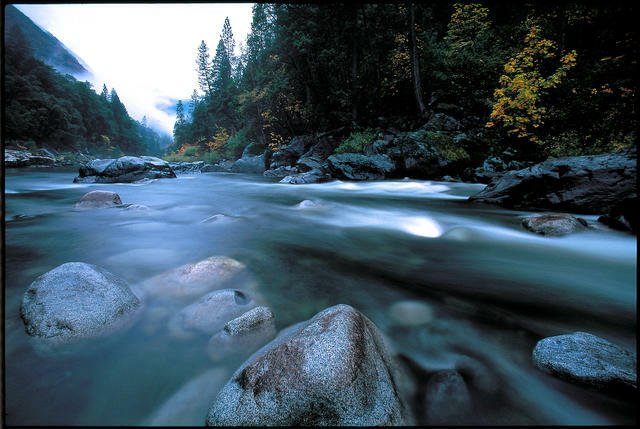 • How to discover your next redwood forest adventure. • A radical proposal to completely end cash bail. • And three knockout art shows now in L.A.
Armstrong Redwoods State Natural Reserve is just north of Guerneville in Sonoma County. Have a hankering for some redwoods? 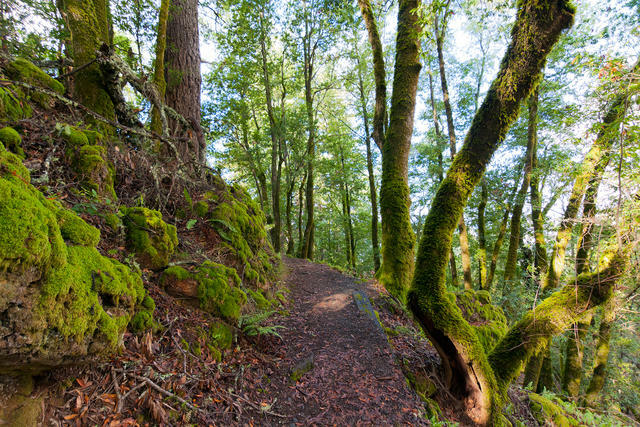 The Save the Redwoods League has built a great redwoods trip planner that lets you plug in what you want to do and where you want to go — from Central California to the Oregon border — to find trails, camping, and trees as old as the Parthenon. Give it a try at ExploreRedwoods.org. In a potentially radical shake-up, California could become the first state to end cash bail for defendants awaiting trial. Under a proposal unveiled Thursday, most suspects arrested for nonviolent misdemeanors would be released within 12 hours of being booked. Supporters argue that it's unfair to jail poor people while letting those with money go free. 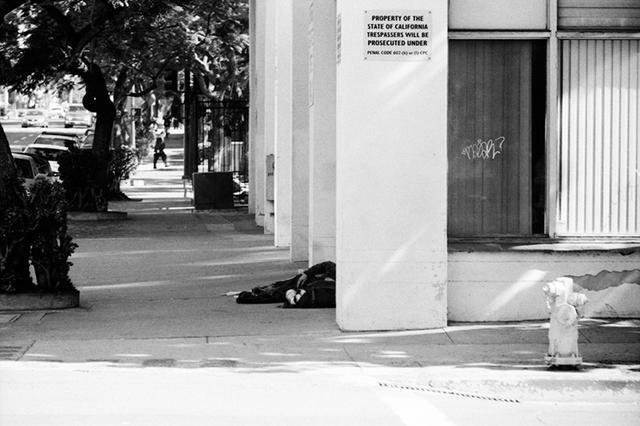 A homeless person in San Diego. The region is the state's second poorest, after Los Angeles County, according to a new analysis. Homelessness seem to be everywhere you look in California. But the number of impoverished Californians actually fell by nearly 600,000 between 2011 and 2016. Even so, the state continues to have the nation's highest poverty rate, and places like San Diego, Sacramento, and the Central Coast have seen no real improvement. "It's not a matter of if it will burn, but when it will burn." In wildfire-prone regions across California, many homeowners have seen an exodus of insurance companies who are increasingly choosing not to renew homeowners' policies — before disaster ever strikes. More than 300 news publications defended press freedom in coordinated editorials on Thursday. But several California publications sat the campaign out. The S.F. Chronicle and L.A. Times expressed similar concerns about creating the impression of "groupthink." McKinnon Broadcasting in San Diego took a different stance: It said "anti-Trump editorialists" were "rushing towards a precipice of their own creation." Gary Parmely, the father of Jeremy Stoke, visited a memorial for his son last Saturday in Redding. 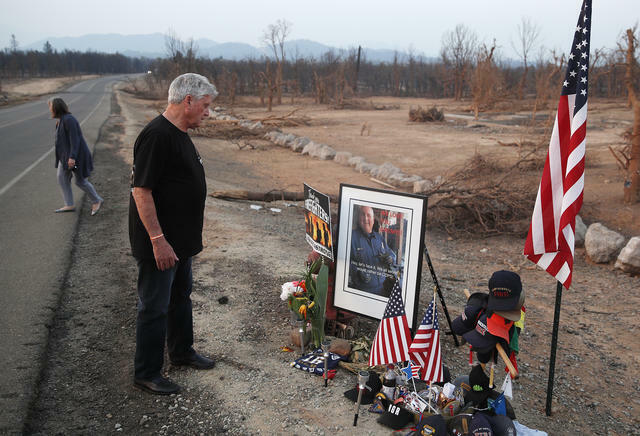 An official report described in chilling detail how a tornado filled with fire — the size of three football fields — took the life of Redding firefighter Jeremy Stoke, who was enveloped in seconds as he tried to evacuate residents on July 26. Newly released video showed an aerial view of the twister, which officials said may have been California's strongest on record. “Urgent times and situations call for urgent tactics.” Arcata has been roiled for more than a year by anger over the unsolved killing of David Josiah Lawson, a black Humboldt State student who was stabbed to death at a house party. Critics have accused the Arcata police force of showing a lack of urgency in its investigation. This week, dozens of chanting protesters commandeered back-to-back City Council meetings. Elon Musk gave an emotional interview to the N.Y. Times. “This past year has been the most difficult and painful year of my career. 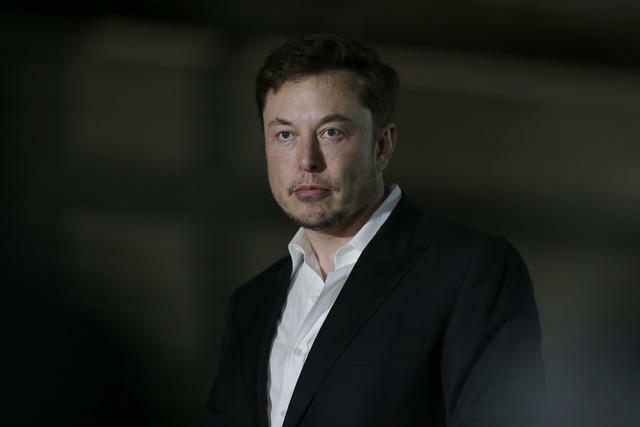 It was excruciating.” Elon Musk choked up multiple times during an interview with the N.Y. Times as he talked about almost missing his brother's wedding and the furor he kicked off by revealing that he wanted to take Tesla private. "Napkins, straws, and bags are available upon request. You can still get needles for free though. Welcome to SF." A popular sandwich shop used its menu to mock rule-making in San Francisco. Critics have seized on the talk of straw bans in California as an example of zany liberal overreach. 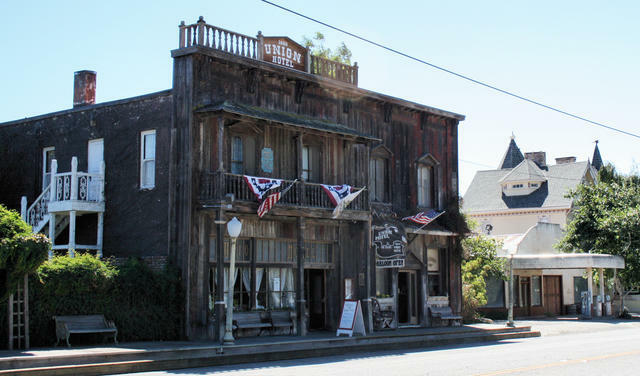 The Warehouse Cafe in Port Costa was built in the 1800s to store harvested crops and remains relatively unchanged. 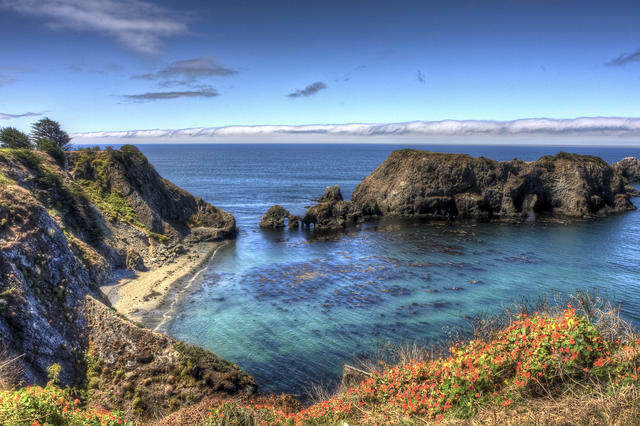 Port Costa is 30 miles from San Francisco, but it’s worlds apart. 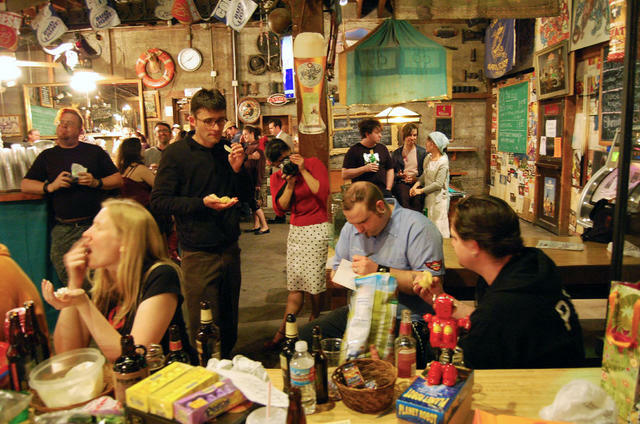 Perched on the edge of the Carquinez Strait waterfront, it has beautiful shoreline parks and a quirky bar inside an old warehouse. It's one of 23 small towns ripe for exploring in the Bay Area. L.A. Mayor Eric Garcetti turned down a federal grant intended to counter violent extremism after opposition from groups that said the program would vilify Muslims. A mental health organization that had been in line to receive funds criticized the move. “It’s a shame because this money could have helped us serve marginalized, underserved people," the group's leader said. The performance artist EJ Hill at Los Angeles's Hammer Museum. 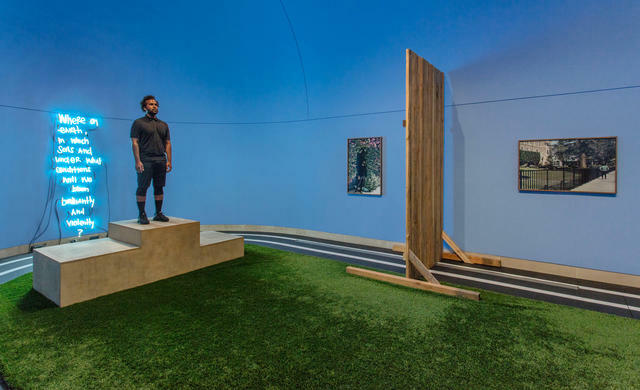 "Made in L.A. 2018" is "one of the strongest and most cohesive biennials I’ve see anywhere in years," wrote N.Y. Times art critic Holland Cotter. It's one of three knockout art shows now in Los Angeles, including "the most beautiful sculpture show in recent memory." 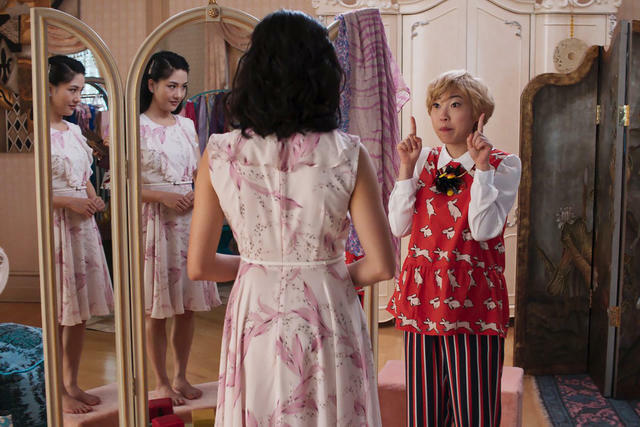 Awkwafina as Peik Lin helps Rachel Chu, played by Constance Wu, survive in Singapore in "Crazy Rich Asians." "'Crazy Rich Asians' is going to change Hollywood." The much-anticipated romantic comedy with an all-Asian cast may have seemed to some like a risky bet. But for those who recognize the underserved audience, the expanding influence of Asian culture, and the power of the global box office, it's no gamble at all. The saloon at the 1880 Union Hotel has been a favorite stop in Los Alamos since the late 19th century. Los Alamos, a tiny town in the Santa Ynez Valley, is the best place to go wine tasting in California. That's according to food writer Karen Palmer, who said new openings, classic hangouts, and a prime wine country location have made the Santa Barbara County enclave a must-do weekend adventure. The waters off Elk are dotted by picturesque rock formations. 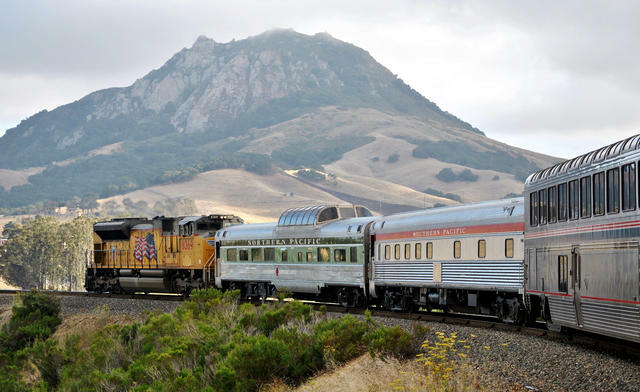 The Coast Starlight cuts between the volcanic peaks of the Central Coast. • Amtrak’s Coast Starlight is one of America's most beautiful train rides. The overnight journey departs Los Angeles each morning at 10:10 and covers about 1,400 miles along golden beaches, fertile valleys and high desert wilderness. A.P.